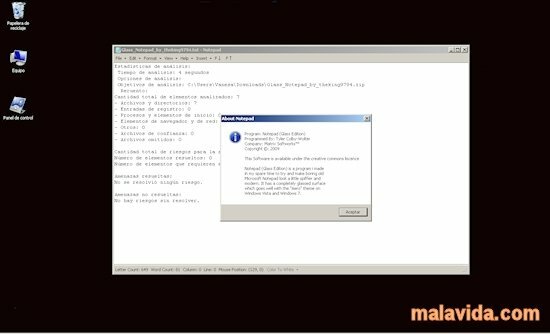 Possibly one of the most attractive visual aspects of your Windows Vista or Windows 7 computer is the Aero interface, which bestows a modern and attractive appearance to the windows of these operating systems, by using transparency effects. 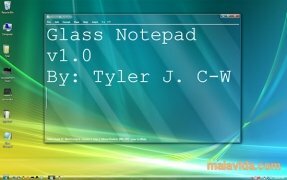 If you're a fan of the Aero graphical user interface, you should check out Glass Notepad, the perfect substitute of the traditional notepad, but that is much more stylish and elegant, thanks to the use of different levels of transparency. But for this innovative effect to be implemented we have to have previously enabled the Aero interface on our system. Among the features that Glass Notepad offers us, we will find all the usual options in most simple text editors, and others that are not so common, like the possibility to align the text, insert special characters, the time or the date, etc. 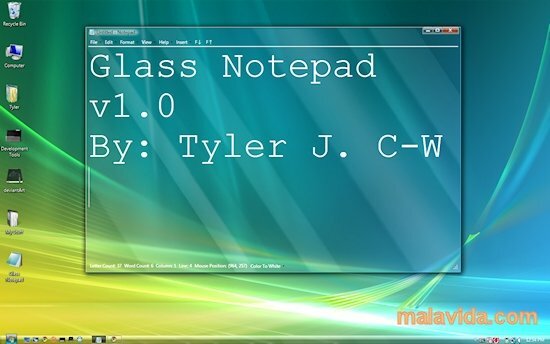 If you are a fan of Aero, you will definitely like Glass Notepad. This application will work on all versions of Windows Vista, except Basic, as long as you have the Desktop Window Composition activated This download requires a ZIP compatible compressor.